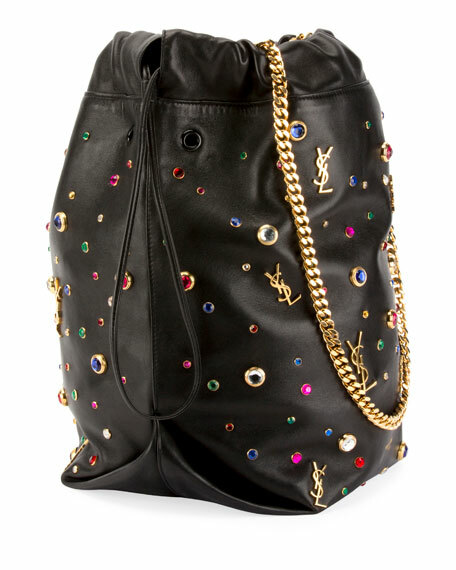 Saint Laurent "Teddy" leather bucket bag with multicolor stone and YSL stud embellishments. 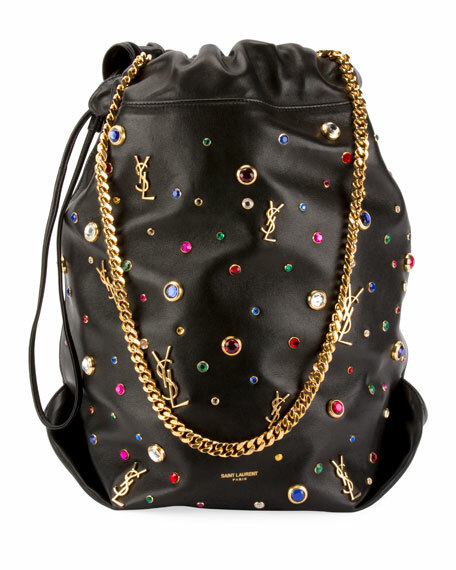 Curb-chain shoulder strap, 13.8" drop. 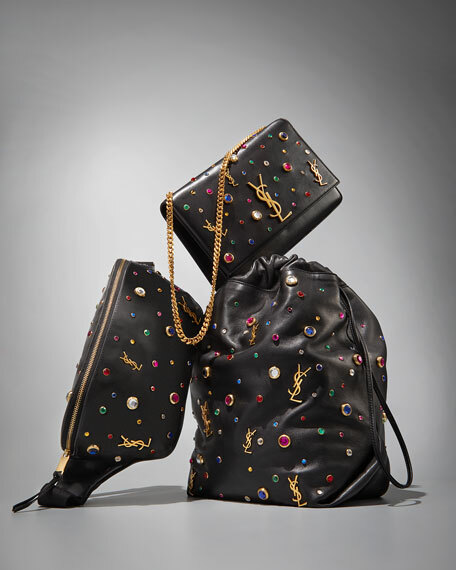 12.5"H x 8.2"W x 8.7"D.
For in-store inquiries, use sku #2677632.